Replacing a home’s siding is not necessarily on the top of any homeowner’s to-do list, unless there is a noticeable need for repair. However, it is incredibly important to invest in quality vinyl siding to protect the interior construction of the home. To prevent damage, here are some of the five top signs you need to replace your house siding. On average, you shouldn’t have to paint your home more often than every eight to 10 years. But if your house needs to be painted every five years, this is a sign that the quality of your siding is deteriorating and that its adhesive is wearing off. Notice unusually high energy bills? This is a surefire sign that your siding needs to be replaced. There could be patches that have blown off entirely or hidden areas on your siding where warm air is leaking out and cold air is leaking in. It may not look like it to the naked eye, but your siding could be warped and damaged. 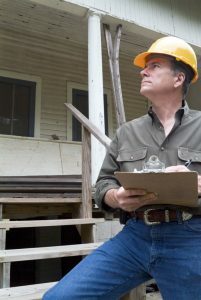 Once a season, do a thorough examination of your home siding with a flat-headed screwdriver to check to see if the underside of the siding is falling away. If you can easily pull it off with your screwdriver and notice that the wood underneath is rotting, your vinyl needs to be replaced as soon as possible. Most siding installation is rated for winds up to 110 mph, so there is no need to worry if you have lost a couple pieces after a storm. But if there are large pieces that are cracked, this warrants siding professionals to come out and take a look. If you are experiencing signs of water damage — such as mold growth or water spots — this means moisture is seeping through your siding, insulation, and exterior walls. This should be a cause for alarm, as water damage can be detrimental to your home and may be quite expensive. Looking to boost the curb appeal of your home by installing new vinyl house siding? Contact our professionals today to get a quote!